Buffett's interest in Paytm raised eyebrows not only because it was one of his rare investments in the tech space but also because it was his first investment in a private tech firm, and an Indian one to boot. When Warren Buffett, the Oracle of Omaha, bets on a company, the world takes notice, sending its valuations through the roof. That's now happening with Paytm, India's largest digital financial services provider, too. 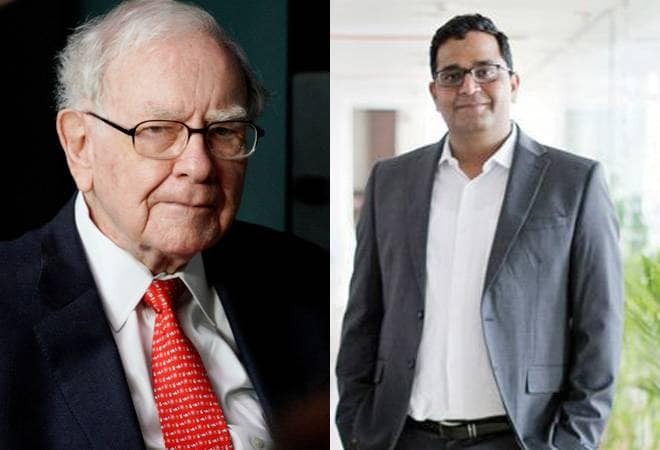 The $300 million investment that Buffett's company Berkshire Hathaway recently made in One97 Communications, Paytm's parent, has sparked off a surge in investor interest. And in the bargain, investors and bankers aware of developments told The Economic Times that the Vijay Shekhar Sharma company could see its valuation hit $16 billion. That is a whopping 128% jump from its $7 billion valuation last year, when it raised $1.4 billion from Japan's Softbank Vision Fund, making it one of the most valued homegrown fintech companies. The company was subsequently valued at $10 billion when it raised money from Berkshire Hathaway. Sources told the daily that One97 is in talks with investors from US and China regarding a secondary share sale. For instance, Blackstone, one of the world's largest private equity firms with $439 billion in assets under management, and US-based hedge fund Dragoneer Investment Group have shown interest. The latter recently made a killing from selling its stake in Flipkart to Walmart and has picked up stake in Uber. Besides employee shares, these firms may also buy some stake held by Taiwanese chipmaker MediaTek. While the value of the transaction is still being finalised, it could range between $100-200 million. If things go to plan, this would be Paytm's third major secondary for ESOPs (employee stock ownership plans) in the last two years. In March 2017, around 47 employees at the Noida-based company sold shares worth about Rs 100 crore when it was valued at $4.8 billion. Then, earlier this year, it saw share sale worth Rs 300 crore to investors, including hedge fund Discovery Capital, which created about two dozen dollar millionaires. "I have unsolicited requests from investors in the US and Europe sending me their profiles and asking if I can help them get some shares in the company," an investment banker told the daily, highlighting the interest of global investors post the Berkshire infusion. Buffett's interest in Paytm raised eyebrows not only because it was one of his rare investments in the tech space but also because it was his first investment in a private tech firm, and an Indian one to boot. The octogenarian overcame his decades-old reservations on the tech sector only in 2011, beginning with IBM. The surge in investor interest comes against the backdrop of a rapid expansion and diversification drive by One97. To begin with it has signed several deals in recent times, including savings management application Balance Technology Pvt. Ltd in an attempt to upgrade user experience. Moreover, apart from its thrust on Paytm Payments Bank Ltd, One97 has recently launched its mutual fund distribution platform under PaytmMoney Ltd.
Paytm aims to double its gross transaction value to $100 billion, on an annualised basis, over the next 12 months. It is also looking to double its merchant base to 16 million. Nonetheless, it has a tough battle ahead if it wants to hang on to its leadership position. Apart from deep-pocketed rivals like Flipkart-owned PhonePe, Amazon Pay, and Google Pay, newer players like WhatsApp Payments and Reliance Jio and WhatsApp Pay are also eyeing India's $200 billion digital payment market, expected to mushroom to $1 trillion in the next five years.